So. You add two family members and my beloved character, Dena, from my novel Outside the Limelight to the equation, and that’s why it seemed important to pause the button on musings about classical music and ballet to give the condition and the association a shout-out this week. Happy Acoustic Neuroma Awareness week to all of you! What is an acoustic neuroma? Also known as a vestibular schwannoma, it’s a benign tumor that arises on the eighth cranial nerve leading from the brain stem to the inner ear. This nerve has two distinct parts, one part associated with transmitting sound and the other with sending balance information to the brain. The eighth cranial nerve and the facial (and/or seventh) cranial nerve lie adjacent to each other; they pass through a bony canal called the internal auditory canal. It is generally here that acoustic neuromas originate, from the sheath surrounding the eighth nerve. When they grow large, they press against the brain stem, which gets dangerous, as you might have guessed. Acoustic neuroma patients often deal with post-op issues that reflect the state of these compromised nerves: hearing can be compromised or destroyed on the tumor side. Patients can experience different levels of one-sided facial paralysis, as well, based on the condition of the facial nerve, and whether or not it has to be clipped during the extraction surgery. I lived vicariously in the world of the acoustic neuroma patient for three years while writing and revising my novel, Outside the Limelight. 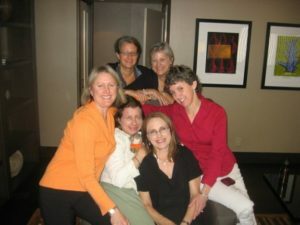 I frequented the Acoustic Neuroma Association’s invaluable discussion board, which is an amazing place, a source of not just information but powerful stories of both struggle and success. Check it out HERE — you will learn so much and have the opportunity to hear the stories of real-life heroes and survivors. 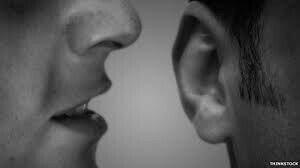 Want to hear others’ stories about acoustic neuromas? HERE is a great blog from writer Lucie Smoker, an acoustic neuroma survivor. And actress and fashion designer Tara Subkoff tells her story for Harper’s Bazaar HERE. Today, and all week long, I will lift my hat to all of you who’ve had to deal with this rare and challenging condition. You are warriors, survivors and heroes, each and every one of you. Me and my sisters. Orange Classical Girl next to white-shirt, acoustic neuroma survivor, Maureen. May 7-13, 2017 marks the fifth annual ANAwareness Week hosted by the Acoustic Neuroma Association®(ANA). 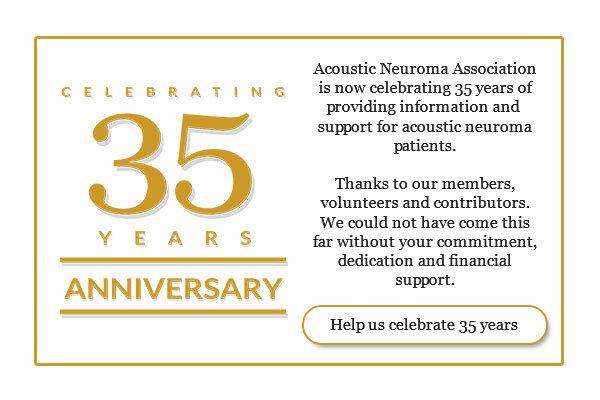 ANA invites you to raise awareness of acoustic neuroma and the challenges facing acoustic neuroma patients, their family members and caregivers while recognizing their accomplishments. Visit www.ANAUSA.org and follow them on Facebook. This entry was posted in Life and tagged acoustic neuroma, Acoustic Neuroma Association, Acoustic Neuroma Awareness Week, balance issues, brain tumor, eighth cranial nerve, Lucie Smoker, Off Balance, Outside the Limelight, stories about acoustic neuroma survivors, Tara Subkoff on May 8, 2017 by admin. Breaking news! Outside the Limelight has been named a Kirkus Indie Books of the Month Selection for January 2017! 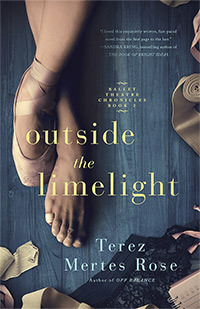 Classical Girl Press is proud to announce the release of Outside the Limelight, Book 2 of the Ballet Theatre Chronicles! You can find it in print and electronic formats HERE or distributed through Ingram Book Company and Bookshop Santa Cruz. Rising ballet star Dena Lindgren’s dream career is knocked off its axis when a puzzling onstage fall results in a crushing diagnosis: an acoustic neuroma, a benign brain tumor. Looming surgery and its long recovery period prompt the company’s artistic director, Anders Gunst, to shift his attention to an overshadowed company dancer: Dena’s older sister, Rebecca, with whom Anders once shared a special relationship. Black Swan had just come out. Something in the air seemed to be whispering ballet to the world at large. “I do,” she said without hesitation, and so Outside the Limelight was born. At first things seemed great. The words flowed onto paper, and my sister’s warrior, can-do attitude toward her difficult recovery continued, through more surgeries, more therapies. But life can get the best of us and our best intentions. A month away from completion, my novel hit a snag. A competing ballet novel—about sisters, dancers in the same elite company, the younger, more talented one gets sidelined with injury (seriously, how was this possible for two books so similar to be produced in the same year after decades of nothing? )—came out, to strong acclaim. I was screwed. And so was my sister. Surgery after surgery had not eradicated her facial paralysis. Nor had her brain fog or tinnitus dissipated. Depression and anxiety swept over her like a tsunami, drowning her. My novel, hastily revised so it didn’t seem quite so copycat, stagnated in the hinterlands of the Big 5 Publishing world as my agent shopped it that fall and through the next twelve months. It was a year of staggering disappointment and discouragement, for both myself and my sister. And still life went on. Because it always does. My sister couldn’t fight back, but I could. Time for Plan B. In May 2015, as an independent publisher (Classical Girl Press), I published my first ballet novel, Off Balance. A twelve-week revision of Book 2 turned into twelve months. As a result of everything, this 2016 revision is both the same story and a very different one. They say adversity reshapes you, and I concur. My own reshaping stuff aside, I watched my sister continue to struggle with her load. 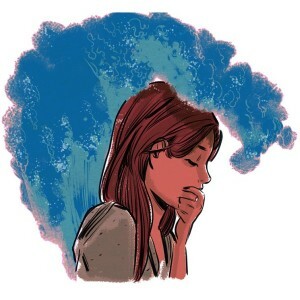 Nothing went away for her—not the brain fog, the shrill scream of permanent tinnitus, the facial paralysis, the resulting depression and anxiety. While I could do little to help my sister’s plight, I could pour my concern and love for her into my story. Powered by this, and a long year of backtracking, slowing down, rerouting and re-re-revising, the story has emerged all the stronger for it. This is Outside the Limelight. This story is dedicated to my sister Maureen, with love, from all her sisters (below, L to R, clockwise: Orange Classical Girl, Annette, Kathleen, Laura, MarySue, with Maureen in the middle.) It’s a story dedicated to sisters everywhere. And to acoustic neuroma survivors. And to professional ballet dancer survivors. You are all warriors. Never forget it. 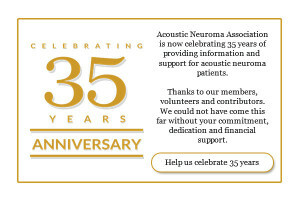 PS: I want to publicly thank the Acoustic Neuroma Association and its wonderful discussion forum, a source of great comfort, peer information and support for my sister, and a community I quietly followed on the sidelines as I worked on my novel. Ten percent of the profits of Outside the Limelight will be donated to the Acoustic Neuroma Association. If you know of anyone who has suffered from an acoustic neuroma or just been diagnosed with one, direct them to the association and discussion forum HERE. And please allow me to gift them a copy of Outside the Limelight. It would be an honor, a privilege, and a chance to pay it forward. This goes for loved ones of an acoustic neuroma patient/survivor as well. Sometimes sitting on the sidelines, watching a loved one struggle, feels just as hard. This entry was posted in Ballet, Life, The Writing Life and tagged Acoustic Neuroma Association, Adrienne Sharp author, ballet dancer sisters, ballet dancer with acoustic neuroma, ballet novel, Ballet Theatre Chronicles, Classical Girl Press, fiction with acoustic neuroma, fiction with brain tumor, Kathryn Craft author, Lauren E. Rico author, Outside the Limelight, Sari Wilson author, sequel to Off Balance, stories about acoustic neuroma survivors, stories about ballet dancers, stories about craniotomies, stories about sisters, story about a dancer with an acoustic neuroma, story about brain tumor survivor, Terez Mertes Rose on October 11, 2016 by admin.